Headwater Holdings was founded in 2002 by Brooks DeLaney, with its initial focus being commercial real estate development and investment. Today, most of Headwater Holding’s investments have resulted in partnerships with various individuals and entities. Headwater’s brokerage arm has facilitated many of its own transactions, as well as transactions of outside parties. The professionals at Headwater Holdings have gained extensive knowledge and expertise through both education and the experience derived from the investment activities since the firm’s founding. In addition to real estate services, Headwater Holdings also invests in multiple operating companies, and the professionals of Headwater are actively involved in the management and operations of these entities. Brooks created Headwater Holdings with a vision of investing and operating various real estate and small business interests. Headwater Holdings is a full service real estate brokerage firm that assists in the brokerage of its own portfolio of assets, as well as the assets of others. Since its conception, Headwater Holdings has invested in and managed projects holding over thirty million dollars in assets, including manufacturing facilities, sand and gravel mining companies, construction companies, real estate development projects, and investment properties. 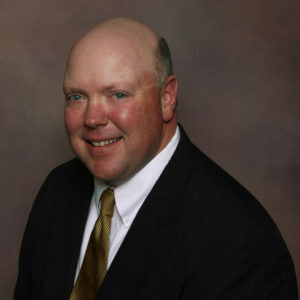 Brooks serves as President and Qualifying Broker of Headwater Holdings. In addition to Headwater Holdings, Brooks also serves as Vice President of The DeLaney Company (delaneycompany.com), a family owned asset based lending company that has been in business for over 30 years, specializing in business loans secured by real property. Prior to forming Headwater Holdings, Brooks began his career in the Financial Advisory Services division of PricewaterhouseCoopers. His professional experience at PwC included a wide range of projects such as troubled asset work outs, real estate due diligence projects, and financial analysis. Brooks holds a masters in business administration from the University of Alabama, a bachelors of science in finance from Auburn University, and is a Certified Commercial Investment Member. Michael Taylor is a native of Mobile, Alabama and a graduate of UMS-Wright. Following high school, Michael attended Auburn University and The University of South Alabama and graduated with a degree in finance from USA. Michael began his career in New York as a financial advisor for Morgan Stanley. During his time at Morgan Stanley, Michael remained in the top half of his production and assets class. Michael then relocated to South Baldwin County, where he began working as a Commercial Lender and Financial Advisor with the community bank, BankTrust, headquartered in Mobile, Alabama. For ten years, Michael dedicated his time to a private equity fund investing in real estate backed assets. Given his diverse background, Michael excels at providing insight from a lender’s perspective along with understanding an investor’s objectives. Michael is involved in numerous community and trade organizations. He is an active member of the Baldwin County Association of Realtors, a former Chairman for the Young Constructors Forum, the former Director of the Mobile Chapter of Associated General Contractors and a former Director of the Baldwin County Road Builders Association. He is also the upcoming President of the Alabama Commercial MLS. Michael, his wife, Julie, and their two sons, Jack and David live in Daphne, Alabama where they attend St. Paul’s Episcopal Church.